You are currently browsing the category archive for the ‘Driving’ category. My drive to work is 20-ish minutes. I don’t hate it, but I don’t love it. I actually like driving. And driving by myself gets extra points, because I can roll down the windows (even though it’s 85 degrees out with 85% humidity), turn the volume way up (my hearing goes down the tube a little more everyday), and listen to any damn song I want. Sometimes I’ll listen to the same song on repeat, until I have that entire chorus memorized. Sometimes I actually take my hands off the steering wheel (only at red lights, of course!) to clap along to my live in concert Madonna CD, as if I were standing in the stadium. I also like to transport myself back to 1998 and thrown on a classic Oakenfold track. Sometimes I think I could be on broadway as I sing entire songs from the Rent or Evita soundtrack. I know it’s 2010. 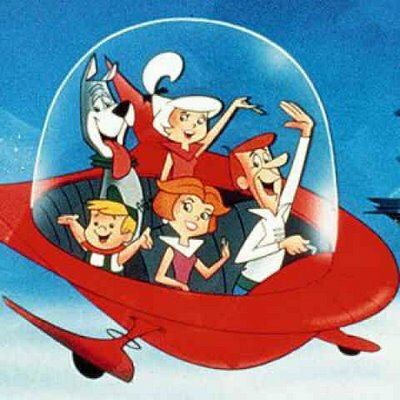 Even though we haven’t made it to a George Jetson lifestyle with talking diaries and flying cars, we’re sooo beyond Atari and 3 lb.-cell phones it’s not even funny. I’m amazed at technology. What’s more, I’m amazed with how it has taken over people’s lives. I mean, we can’t be expected to find our way to someone’s house on our own – can we?! Has a 10-year-old ever seen a paper map? I can’t believe we don’t have something to remind us to breathe. Oh, I hope I didn’t just jinx us. We just can’t seem to stay away from the conveniences of technology. The chatting and texting while driving. My friend O and I were talking about this, and she mentioned how people don’t even know how to date without technology. She said nobody gets ASKED on a date anymore – they get texted. No starring at the phone for hours, then finally dialing only to hang up – repeat five more times. On the sixth attempt, you hear a ring and a … “Hello?” Hang up. Nope, no more. Instead, getting asked on a date is rendered to: R U free Mon? What’s worse, the questions via Facebook. Hey, can you watch my cats next week? No, not unless you call and ask me. Aaaarrgh! For now, I’m just sticking by my pay-as-you-go phone for as long as possible. Do you still use the phone? It’s that time. Season, as those in the restaurant world might say. The birds are back. Not these birds, fortunately, rather the South Florida Birds. The white-haired, Estee Lauder-perfume-smelling birds. The birds that forget to use their blinker and tend to always ride in the left lane. Yes. Those birds. They’re not all bad birds, of course. JP propsed the question, “Would you pledge to never visit New York, if that meant one person (i.e., snowbird) couldn’t come to Florida in the winter?” Since I’ve already been to New York, and the only person I know who lives there doesn’t live there anymore (NYGirl4EVA moved to Jersey! Ha! ), I think my answer might be … yes? In any event, the birds are also a sign of good things — holiday cheer, colorful lights, fattening foodstuffs, Publix commercials that make me cry. The usual suspects. With Thanksgiving over, it’s just a hop-skip away until Christmas … then NYE … then JP’s birthday …. The pah-tay never stops, huh? Right. Left. Right. Left. Right?! If you’re American and you’ve been to Samoa, first, I’m jealous of you; second, I know you had no problems getting around if you rented a car – they’re a right-side driving nation. As is 70% of the world. Some of the 30% of the world keeping left includes: Australia, Cayman Islands, Japan, South Africa, Sri Lanka, Thailand, Trinidad and Tobago. Ahh, but, that’s no more according to this article from the Wall Street Journal.